VISIT US! At the Greensboro Visitors Center, you’ll find friendly faces, maps, brochures, schedules for upcoming events and directions to anywhere you’d like to go. Our representatives will answer your questions about our city and region. Stop by and let us help you plan your time in Greensboro! The Visitors Center is located right next to the Greensboro Coliseum Complex at 2411 W. Gate City Blvd. Monday-Friday, 8:30 a.m. - 5:30 p.m. Saturday, 9 a.m. - 4 p.m. Sunday, 1 p.m. - 5 p.m. The Greensboro Area Convention & Visitors Bureau and the Greensboro Visitor Center offer free guides, maps and information on attractions, accommodations, restaurants, golf, special events and more. We can also assist with securing accommodations and restaurant reservations. Cover photo credit: Sam Froelich. The information in this brochure was compiled by the Greensboro Area Convention & Visitors Bureau in the fall of 2017. Inclusion should not be construed as a recommendation, but merely as a guide. Visitors are encouraged to confirm all information. The Greensboro Area CVB will not be held responsible for any discrepancies contained herein. With a great selection of 135 attractions, the fun never ends in Greensboro! Centrally located in North Carolinaâ&#x20AC;&#x2122;s picturesque heartland, Greensboro is the perfect place to relax and be immersed in entertainment. Play in the center of it all! Dine with a selection of more than 500 restaurants. Feel at home with more than 87 accommodations to choose from. HISTORY OF GREENSBORO Saura and Keyauwee Indians called North Carolina’s Piedmont region home in the 1600s and early 1700s. Germans, African-Americans, Quakers of Welsh and English descent, and Scotch-Irish from the northern colonies began to move here around 1740. These pioneers worked the land and shaped the future for generations to come. 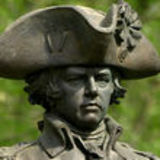 In an effort to thwart the invasion of North Carolina by 1,900 redcoats under Lord Cornwallis, American Major Gen. Nathanael Greene deployed 4,400 rebels at the Battle of Guilford Courthouse on March 15, 1781. Cornwallis held the field after an intense fight, but he lost a quarter of his army, which hastened his defeat at Yorktown seven months later. In 1807, the residents of the area voted to create a new, more centrally located seat of government. The following year, elected officials mapped out a 42-acre tract of land, paid $98 to purchase it, and suggested that it be named “Greensborough” in honor of Major Gen. Greene. A CENTER FOR EDUCATION By 1767, Presbyterian minister David Caldwell and his wife Rachel had started a local school that prepared young men to study at the university level. By 1837, Quakers in the New Garden community had formed a boarding school for training teachers. Known today as Guilford College, it was the first coeducational institution in the South. A tax-supported public school system was started in 1875, but schools remained segregated until 1957. In 1971, Greensboro redistricted its schools and implemented a busing plan to achieve full school integration. Greensboro was ahead of most cities in placing an emphasis on higher education for women and African Americans. The University of North Carolina at Greensboro (originally the Normal and Industrial School for White Girls), North Carolina A&T State University (formerly the Agriculture and Mechanical College for the Colored Race), Bennett College for Women (originally Bennett Seminary), Greensboro College (originally Greensborough Female College) and Guilford College continue to play a vital role in the city today as do the newly formed Elon University School of Law (2005) and Guilford Technical Community College (1958). A CENTER OF ECONOMIC GROWTH The railroad was a key factor in Greensboro’s prosperity and industrial growth. John Motley Morehead, a North Carolina governor and former student of David Caldwell, campaigned for two decades to have Greensboro included as a stop on the North Carolina Railroad. Finally, in 1856, a special east-west line of tracks was completed. During the Civil War, Greensboro was both a storehouse and a railroad center for the Confederacy, a vital source of supplies and troops for Robert E. Lee’s Army of Northern Virginia. Civilian refugees and wounded soldiers were transported and sheltered here. Greensboro became the seat of the Confederacy on April 11, 1865, as Confederate President Jefferson Davis arrived here after Lee’s surrender at Appomattox to discuss the military situation of Gen. Joseph E. Johnston and the weakened Army of Tennessee. Later, all Confederate forces in North Carolina were mustered out and paroled in Greensboro. H IST ORY William Sydney Porter was an eyewitness to the occupation of Greensboro by Union troops. Years later, using his pen name “O. Henry”, he recounted these experiences in some of his short stories. GUILFORD COUNTY VETERANS MEMORIAL A tribute to Guilford County residents who served in the military in the twentieth century and beyond. Text and maps tell the tales of major conflicts. Memorial bricks and benches provide some history of participants. Open daily during park hours. FREE. Located in Country Park off Lawndale Dr. GCVeteransMemorial.org GUILFORD COURTHOUSE NATIONAL MILITARY PARK Honoring the site of the March 15, 1781 Battle of Guilford Courthouse. Visitors can view informational outdoor exhibits and monuments. Indoor activities include a 30-minute live-action film (shown on the hour), an animated battle map program and Revolutionary War museum exhibits. Hours: 8:30am-5pm daily. FREE. Reservations required for large groups. 2332 New Garden Rd. 336-288-1776. nps.gov/guco INTERNATIONAL CIVIL RIGHTS CENTER & MUSEUM/SIT-IN-MOVEMENT, INC. Located in the former F.W. Woolworth retail store at 134 S. Elm St., this must-see vital piece of history takes you on a journey into American Civil Rights History with vivid photography, artifacts, video reenactments, and interactive galleries. It was here that over 50 years ago, four teenage NC A&T State University students, known as the A&T Four, sat down here at the “Whites Only” lunch counter and began America’s sit-in movement that sparked a nationwide push for equality and justice for all. Today the ICRCM stands as a monument of courage and change. Winter hours: (Oct.-Mar.) Mon.-Sat. 10am-6pm, closed Sunday. Summer hours: (Apr.-Sept.) Mon.-Sat. 9am-6pm, closed Sunday. Admission Fee. 336-274-9199. sitinmovement.org MILLENNIUM GATE Jim Gallucci and a team of 17 artisans created the 106 icons that comprise this sculpture’s surface. Icons representing great ideas, inventions, events and people that have made a significant difference in the past thousand years complete this interactive and most magnificent sculpture. FREE. Phill G. McDonald Plaza, 220 S. Greene St. O. HENRY STATUES This outdoor, three-piece sculpture honors Greensboro’s best known writer, William Sydney Porter (O. Henry). There is a bronze likeness of the author, a 7 by 14-foot book of these short stories, and a statue of his small dog. Located on the corner of N. Elm and Bellemeade St., One block from the Greensboro Historical Museum. FREE. WALKWAY OF HISTORY Sidewalk markers chronicle six chapters in local African American history ranging from the first fugitive slave on the Underground Railroad to the first African American North Carolina State Supreme Court Justice. FREE. Located on S. Elm St. at February One Place. more. Set in downtown Greensboro’s Cultural Arts Center, neighbors include LeBauer Park, plus some of the City’s best restaurants, art galleries, and parking. Admission fee. 200 N. Davie St. 336-373-7523. AtTheVanDyke.org Area colleges and universities offer a variety of performing arts programs. For more information, see Colleges & Universities on page 49. ART GALLERIES Greensboro is home to more than 40 galleries. For a complete listing of upcoming events and happenings, visit ExploreGreensboro.com or call Arts Greensboro at 336-373-7523 for more information. ART COFFEE CUP COLLABORATIVE This community-based public art project is designed to celebrate the unique history of the City of Greensboro and the advancement of the American civil rights movement through the momentous lunch counter sit-ins of 1960. The eight unique coffee cups reflect the simple request and courage of the NC A&T students who sat at the all-white lunch counter and asked for a cup of coffee. The cups are located throughout the downtown area with one at the Greensboro Coliseum. artsgreensboro.org GREENHILL A space for NC Art composed of four spaces; ArtQuest, InFocus Gallery, The Gallery and The Shop. Engaging a broad community of artists, adults and children through dynamic exhibitions and educational programs while providing a platform for investment in art. Hours: Tues. & Thurs.-Sat., 10am-5pm; Wed., 10am-7pm; Sun., 2-5pm. 336-333-7460. greenhillnc.org GUILFORD NATIVE AMERICAN ART GALLERY AND GIFT SHOP Visit the first gallery of its kind in the Southeast to promote and sell traditional and contemporary Native American art and crafts. Four exhibitions are showcased annually. The gift shop has a variety of authentic Native American art and crafts. Special presentations and tours are available. Hours: Tues.-Sat., 10am-5pm; Sun., 2-5pm. FREE. 336-895-8514.
flavors and butter, all made on site. Milk is pasteurized the old fashioned way using a low temperature vat leaving a creamier taste without losing the good enzymes. Products are available in the store located on the farm. Birthday parties and farm tours by hayride are available by reservation only. To make reservations call 336-685-0470. Open year-round. 6506 Bowman Dairy Rd., Julian. 336-685-6455 (store). homelandcreamery.com J. RAZZ AND TAZZ FARM A working family farm in Guilford County, NC that opens at the end of September. Features a 10-acre corn maze that has a new design each year. There is a family area called Burgess Grove, which includes a mini corn maze, a cow train ride, a mini hayride, a trike track, corn bins, haystack mountains, and other playground equipment. Take part in half-hour farm tour hayrides during the daytime hours. During the Halloween season a Haunted Forest Hayride is offered at dark. Hours: Friday 4pm to 10pm; Saturday 10am to 10pm; Sunday 1pm to 7pm. 466 Peeden Dr. Gibsonville, NC. 336-697-2473. jrazz.com OLD MILL OF GUILFORD This working grist mill and country store with the sights and smells of another era is listed on the National Register of Historic Places and offers a gift shop with a variety of stone-ground meals, grits, flour, mixes (pancake, muffins, etc), pottery and crafts. Hours: Daily, 9am-5pm. FREE admission. Reservations required for large groups. 1340 NC Hwy. 68 N., Oak Ridge. 336-643-4783. oldmillofguilford.com ROBERT G. SHAW PIEDMONT TRIAD FARMERS MARKET Visit one of North Carolina’s state-owned farmers markets and shop for local Piedmont fruits, vegetables, flowers, baked goods, jams, honey, crafts and more! Make sure you visit the Garden Center and Restaurant. Retail hours: Mon.-Sun., 7am-6pm. 2914 Sandy Ridge Rd., just off I-40 at the Sandy Ridge Rd. exit #208. 336-605-9157. triadfarmersmarket.com Whatever your retail therapy needs are, Greensboro offers something for everyone. To learn more stop by the Visitor Center for a complete list of shopping centers, art galleries and spas. Snack Bar Club Rentals Tee Time Req. TAP HOPPER TOURS This Greensboro Craft Brewery Tour will showcase the Gate City’s amazing craft brewery scene, local inspiration, and diverse culture. Greensboro is a growing hot spot for craft breweries and distilleries, and we want to help you check them out! Each outing includes in depth tours of 3 local breweries or distilleries, tasting 2-4 samples, and 1 “tasters choice (5-7oz pour)”, a souvenir cup, and learning how the craft beer culture has evolved in Greensboro, directly from the people who have made it happen! For more information on tours please visit taphoppertours.com. 336-850-1477. CHE E RS Gibb’s Hundred Brewing Co.
LITTLE BROTHER BREWING A small, boutique brewery and taproom with a unique take. We brew our beer on-site in our 4-barrel system emphasizing experimentation and creative usage of ingredients. Hours Thurs.-Fri. 4pm-12am Sat. 12pm-1am Sun. 12-10pm Closed Mon. Tues.-Wed. 4pm-10pm 336-510-9678. 348 South Elm St. 336-510-9678. littlebrotherbrew.com NATTY GREENE’S BREWING CO. Made Greensboro it’s home in 2004. Stop by any of Natty Greene’s locations for locally handcrafted beers and eats. nattygreenes.com BREWERY: 1918 W. Gate City Blvd. ; 336-856-6111 Open Fridays 5 to 9:30 p.m. BREWPUB: 345 S. Elm St.; 336-274-1373 Open Mon. - Sun. 11 a.m. to Midnight KITCHEN + MARKET: Revolution Mill, Yanceyville Rd. PIG POUNDER BREWERY A local microbrewery specializing in producing outstanding authentic UK style beers including types like an Extra Special Bitter, an English Dark Mild, and a classic Milk Stout for local venues. The brewery also features an interactive tasting room made for connecting with our guests and educating them more about beer. Tours available. Tues.-Thurs., 4-9pm; Fri., 3pm-until; Sat., 12pm-until; Sun, 2-8pm. 1107 Grecade St. 336-553-1290. pigpounder.com Pig Pounder Brewery Preyer Brewing Co.
BARKS BREWING CO Soon to be Greensboro’s first nanobrewery 3021 Spring Garden St.
Market St. / Gate City Blvd./ Wendover Ave.
LIBBY HILL SEAFOOD RESTAURANTS • 3920 Cotswold Ave. 27410 336-288-6782 Features an oyster bar. O 30+ $ Mon-Sun: L D • 3011 Randleman Rd. 336-275-7688 B 30+ $ Mon-Sun: L D Has proudly been serving the Triad for over 50 years. Serving some of the best seafood in Greensboro. Also serving great steak and chicken. Offering many healthy options as well. Drive-thru window at Gate City Blvd. location. TOKYO GRILL I & II • 5535 W. Market St. 27409 336-294-5050 $ Mon-Sun: L D • 2631 Lawndale Dr. 27408 336-286-2184 $ Mon-Sun: L D Casual dining experience with Japanese Hibachi style dishes. Take out & Dine In available. Visit our website for a complete listing of restaurants in the Greensboro area. If you would like suggestions we would love to help! Give us a call or stop by the visitors center next to the Greensboro Coliseum. Events are constantly being added to our calendar! For up-to-date information about events in the Greensboro area, please stop by our Visitors Center or VisitGreensboroNC.com or call 800-344-2282. Inn Airport 501 S. Regional Rd. & Suites 3220 W. Gate City Blvd. Hotel Greensboro Airport	204 Centreport Dr.
Stay America Greensboro Airport	7617 Thorndike Rd. Marriott Airport One Marriott Dr.
Inn Greensboro Airport 7803 National Service Rd. MARKET ST. GATE CITY BLVD. WENDOVER AVE.
See pages 60-61 for Attractions & Accommodations Listing. See pages 62-63 for the detailed Downtown map of Attractions & Accommodations. 24 HOUR TRAVEL INFORMATION Travelers can now access current travel information by dialing “511” on a cell phone anywhere, anytime in North Carolina.